Although, we all know the basics of our various social media accounts – how many followers we have or how many repins a certain post has garnered – many of us treat the deeper analytic information of those accounts as though they are enveloped in a shroud of mystery and complexity. That state of ignorance doesn’t work for a guy like Danny Maloney. In fact, Danny hopes to shed as much light as he can upon the analytics side of social media. The Pinterest marketing platform he co-founded, Tailwind, is the world’s leader, with over 20,000 leading brands and agencies on the Tailwind roster. When it comes to Pinterest analytics, Danny knows his stuff. A creative force for a while now, Danny started by co-founding BridesView.com, an online tool that helped perspective couples plan their nuptials. Then, as a member of the New Initiatives team at Google Maps/Local and YouTube, he had a hand in developing several innovative products. From there, he served as general manager of AOL’s video business, helping to take it from 13th to second overall among US online video services. Maloney is a graduate of the University of Pennsylvania’s Jerome Fisher Program for Management & Technology, earning degrees from Wharton and Penn’s School of Engineering and Applied Sciences. 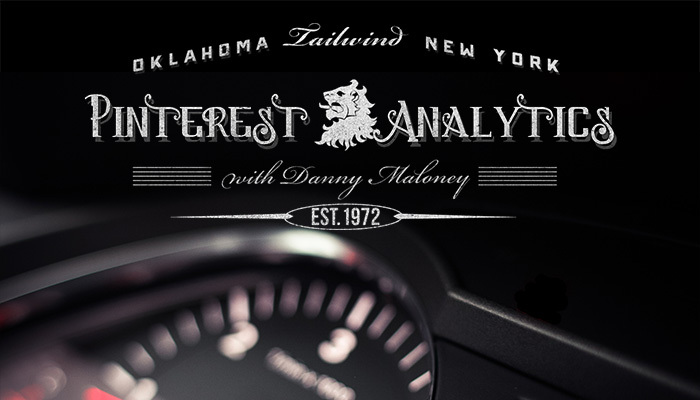 So, come with us on this edition of the Manly Pinterest Tips Show as we dare – with the help of Maloney’s considerable insight – to take a deep dive into the world of Pinterest analytics. Thanks to Daniel for being such a great guest. See you for the next episode where we’ll be adding testosterone, one pin at a time!